Know How to Pronounce Everything Correctly! Thai People will Actually Understand You! Do Thai people ever struggle to understand what you are saying? It's time to fix that. You'll Be Able to Read Signs and Menus! You won't be able to understand a novel or newspaper yet, but after my course you'll be able to work through menus and signs with ease. "Brett's ability to unravel the mystery has really opened up a lot of doors for me"
*Disclaimer: Mike learned to read Thai in about 2 weeks using an older ebook version of my course. The time it takes you to learn to read may vary from Mike's experience, but if you spend at least 30 minutes a day on the course, you shouldn't have any problem finishing it within about 2 weeks. Hi, I'm Brett the White Guy. Have you struggled with boring Thai books and lessons and still can't talk to anybody or understand anything? Have you been frustrated by the fact that no one can just explain stuff simply? Are you still waiting for it to 'click' so you can start having real conversations in Thai? I've been there. I'm a foreigner who went all the way from zero to fluent and I want to show you how I did it. I'll also steer you away from the loads of time-wasting, frustrating mistakes that almost everybody makes. I've already struggled through them and I want to make sure my students don't have to. My course covers everything you need to know to read Thai. 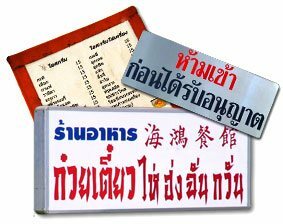 This includes everything you need to know about the Thai script, sound system as well as how to understand and master the Thai tone rules. There are in-course flashcards in the lessons to help you practice and you an email me for help at any time if you have questions. Everything single Thai letter or word in my web course has clickable audio recorded by a professional voice artist. 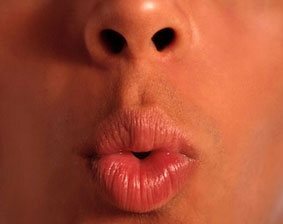 Part of learning a language is listening over and over again and you'll be wanting to click on those words a lot! I made a special set of flash cards specifically for this course, complete with audio for every one. The flash cards work with Anki software, so the deck will intelligently pick which cards you need to review and will sync your progress to your phone, tablet or other computers. "Within just a month I had the alphabet and the tone rules down and I was starting to sound out words and sentences. I was really only studying for 15 or 20 minutes a day*. Brett really breaks down the language so you're able to learn pieces at a time without getting overwhelmed." *Disclaimer: While Maren mastered the script in a month, your results may vary based on your own study habits and time spent. If you follow the course as laid out with daily study of at least 30 minutes, you can expect to complete it in approximately 2 weeks..
"I can now read and write short words in Thai and have a full understanding of the tones"
"I'm blown away by the progress I've made. I can read anything in Thai, understand the tone and properly pronounce it. After learning how to read, he started teaching me practical vocabulary, sentence structure and how to speak like a Thai (which is way different than hat most language books will teach you, of course). 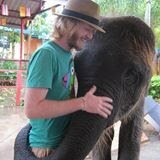 I live in Thailand and my experience here has drastically improved since studying with Brett. I've been sending fellow expats his way ever since my first lesson - this guy knows what he's doing." My first web course has over 50 lessons for only $197. Like I said, it should take you about 2 weeks* to get through all the material in the course, but you'll have lifetime access so you can take as long as you'd like. You'll also have unlimited email support while using the course so you can email me whenever you have questions. *Results may vary based on the time you spend studying each day. It is certainly possible to complete it in less time, and if you somehow find yourself in the 3rd week and you still haven't completed the course, just email me and I'll help you get back on track. When you get my web course, you get a 100% money-back guarantee. That means that you can learn how to read, write, say everything correctly and communicate more effectively. But if you are dissatisfied with the course for any reason whatsoever, just let me know within 30 days I'll give you a full refund no questions asked. Buy Now and Get $50 off!